Knight Frank research director, Richard Jenkins, said Bridge Road, Richmond recorded the highest vacancy with one in every five shops now vacant, its highest level in 10 years. It rose from 16.5 per cent a year ago to a current rate of 19.3 per cent with 46 empty shops. 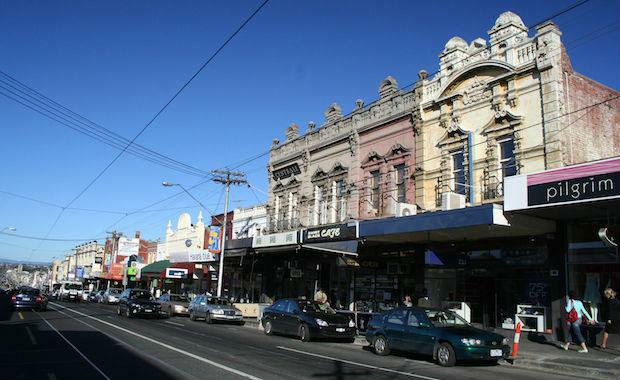 “Chapel Street, South Yarra, Burke Road, Camberwell and High Street, Armadale are also out of favour with tenants, with all reaching their highest levels in 5 years. suburban strip rate was 7.7 per cent"
Knight Frank Analyst Monica Mondkar said there were destination strips that enjoyed falls in vacancies but these were generally confined to the smaller precincts. “Of interest, Toorak Road, South Yarra experienced the highest fall dropping from 12.8 per cent to 7.7 per cent, driven by an influx of cafes and restaurants. “Church Street, Brighton has the lowest vacancy at 1.1 per cent while Acland Street, St Kilda now sits at 2.7 per cent and Puckle Street, Moonee Ponds at 5.9 per cent. “Glenferrie Road, Malvern is at 5.0 per cent while the Hawthorn end rose slightly to 6.8 per cent,” he said. Mr Jenkins said that many of the strips were struggling due to the success of the CBD and the opening of Emporium which has attracted some of the leading retailers in the world. “The prime CBD retail market now has a vacancy of just 3.0 per cent while the overall suburban strip rate was 7.7 per cent,” he commented. According to Mr Jenkins most of the new incoming tenants to the strips were restaurant and cafes followed by clothing retailers. “Bridge Road had the highest churn of all the strips at 21% with the majority of incoming tenants still in discount clothing while Chapel Street continues to attract fashion labels with 13 new stores leased for clothing and footwear retailers, however the once glossy strip has hit 12-year vacancy highs,” he said. “The latest results showed that every one of the strips had a churn factor in the double digits which is the first time since the survey commenced seven years ago,” he commented. “While many of the strips recorded high churn rates, of interest was that incoming tenants were often retailers already located on the strip but were being lured to new premises due to cheaper rents and incentives that were offered by neighbouring landlords,” he said. He added that many retailers are struggling with high rents and soft consumer sentiment and as a result, many tenants were forced out. In addition, many of the fashion focused strips have been impacted by the evolution of online retailing with estimates of turnover growth of online retailing increasing by 9 per cent over the past year in contrast to 3.2 per cent growth in “bricks & mortar” retailing. "However the outlook for many of these prime retail strips is positive, with many new apartment developments coming on stream, boosting the surrounding local population," Mr Jenkins said. Given the difficulty in replicating these shopping strip precincts and the scarcity of opportunities, competition for prime locations on these strips remain sought after by tenants. Despite the current challenging state for retailers, conditions for clothing and footwear are showing signs of improvement with clothing turnover outpacing food-based retail sales in Victoria. According to ABS retail trade statistics, the 12 months to June food retail sales increased by 7.1 per cent whereas clothing retail sales grew by 15.2% over the same period. "Having experienced the softest retail conditions in history over the past four years, retail sales in 2014 appears to demonstrate a shift by consumers from saving to spending, spurred on by growth in house prices and an improving economic outlook which bodes well for tenants that have survived," Mr Jenkins said. According to Knight Frank, rents in Chapel Street, South Yarra remain the highest achieving rental levels between $800 and $1,500 per square metre per annum while Bridge Road rents range between $350 and $900 per square metre.